Skykomish at Lewis Park near the boat Ramp. 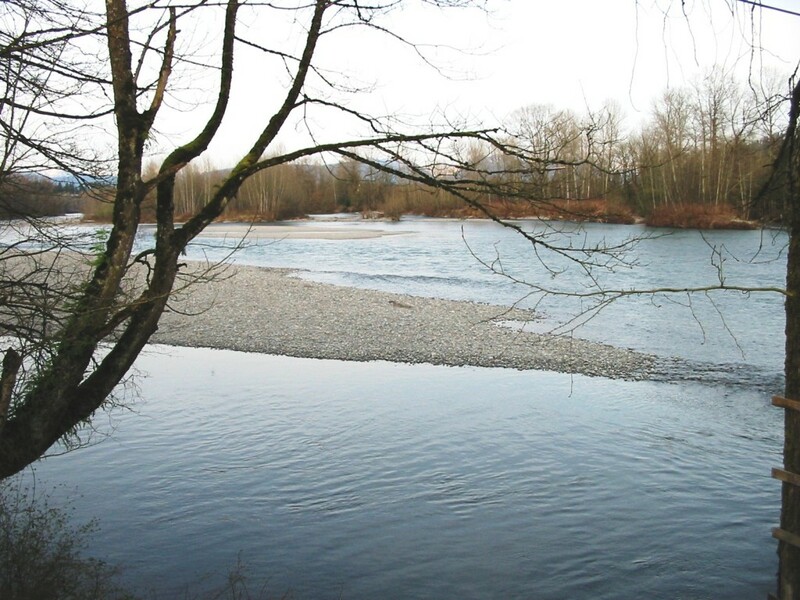 The Skykomish river is a popular Washington fishing destination that originates in the Cascade mountains and drains out into the Snohomish river. Home to several species of Lunker’s, the Skykomish is known for excellent Steelhead fishing. The Skykomish also has a healthy runs of Chinook, Coho, Pinks and Chum. Also referred to as the Sky, this river is near and dear to our hearts and was one of the inspirations for this website. The 20+lb Steelhead that is the banner for our website, was caught on the Skykomish river by Bill Snyder and the boy in the picture is Mike Taylor. This photo is a family heirloom and was an honor to place on our website. The Skykomish offers some excellent public fishing access to view our Skykomish river fishing access map see map below. The Skykomish opens up for Salmon June – July and then again August – December. June – Jan for Trout. This fishery generally allows 2-4 salmon per day, depending on the time of the season. Skykomish River Water Levels are provided by the United States Geological Survey data system. Powder Puff. Expect company, but they won’t be all up in your space. Eye protection still recommended! CLICK HERE! TO HIRE A LUNKER ELITE GUIDE FOR THE SKYKOMISH RIVER!